eBooks are downloaded to your computer and accessible either offline through the Bookshelf (available as a free download), available online and also via the iPad and Android apps. Upon purchase, you will receive via email the code and instructions on how to access this product. The eBooks products do not have an expiry date. You will continue to access your digital ebook products whilst you have your Bookshelf installed. Photos for OS X (R) Yosemite 10.10.3 and higher. Step-by-step instructions with callouts to Photos screenshots that show you exactly what to do. Help when you run into problems with Photos. Tips and Notes to help you get the most from Photos. 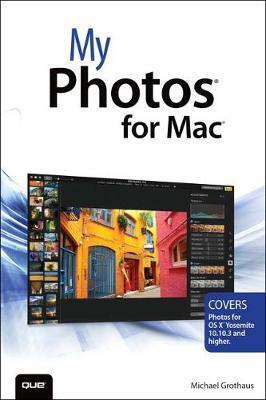 Chapter 1: What Is Photos for Mac?